The Quantum and Energy Materials department works on fundmantal and applied materials science with strong efforts in quantum materials, e.g. 2D materials, both experimentally and theoretically, and energy materials covering the topics energy generation and storage with strong efforts in catalysis, fuel cells, batteries, and photovoltaics. Activities include experimental and theoretical research and development of 2D materials (graphene, transition metal di-chalcogenides, boron nitride, magnetic 2D materials, quantum spin Hall insulators, etc. ), fabrication of devices based on 2D materials (e.g. biosensors and photodetectors), photovoltaic materials for advanced thin film solar cells (Cu(In,Ga)Se2, etc. 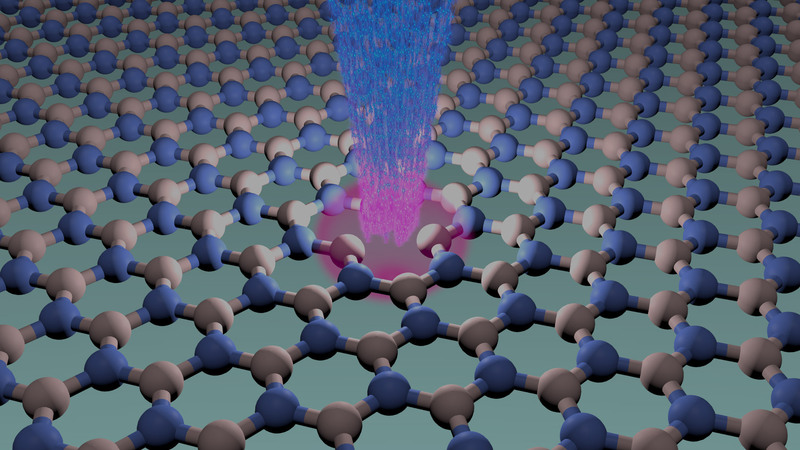 ), materials for solar-to-hydrogen conversion and batteries and research in atomic scale electronics, functional point defects in 2D materials for quantum technologies, etc. The Laboratory for Nanostructured Solar Cells (LaNaSC) develops nano- and micro-structures of chalcopyrite-type semiconductors (Cu(In,Ga)Se2) for application in photovoltaic energy conversion. The Nanomaterials for Energy Storage and Conversion group conducts both fundamental and application-oriented research on new nanomaterials and nanostructures that can be used for energy storage and conversion. Particular emphasis is at the moment placed on the preparation of hollow, porous nanostructures and ordered nanowire/nanotube arrays of various inorganic materials, which not only possess large surface to volume ratios but also facilitate the transportation of electrolytes/ions/charge carriers. 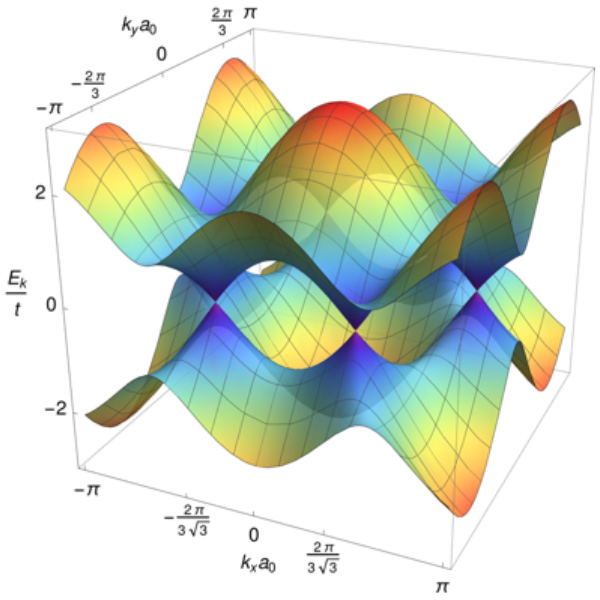 The group of Theory of Quantum Nanostructures explores the electronic and spin properties of quantum systems engineered with atomic scale precision. Our motivation comes primarily from the curiosity to understand fundamental open questions of quantum mechanics and many body physics. 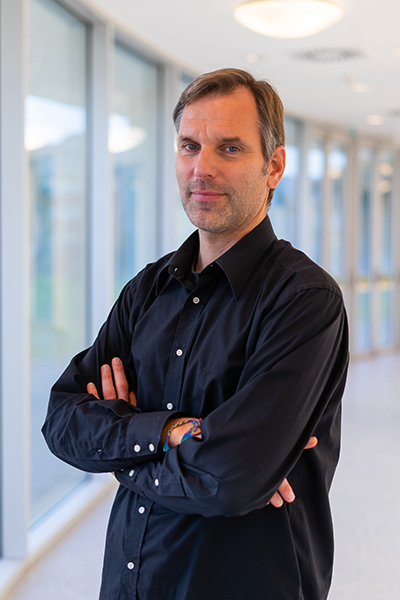 The group of Electrodynamics of 2D Materials focus his research on the optical properties of 2D materials and their electromagnetic interactions with other systems, such as non-local metals, quantum dots, magnetic systems, and insulators. The 2D Materials and Devices group (2DMD) research focus on CVD growth, transfer and device fabrication, using 2D materials, clean-room technology, and Raman imaging for structural characterization. Particular attention is given to biosensing devices, where immuno-assays and DNA sensors based on graphene liquid-gate FETs were developed. The devices specificity for particular biomarkers is achieved by functionalization of the graphene channel. The Atomic Manipulation for Quantum Nanotechnology (AMQN) group is dedicated to creating novel two-dimensional materials and nanomaterials for the state-of-the-art magnetic, electronic, optoelectronic, electrochemical and energy applications. 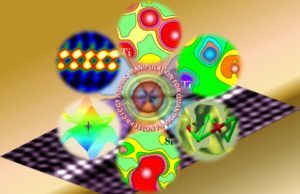 We focus on probing the structure-property interplay of low-dimensional material systems at the atomic scale so as to fulfill atomic manipulation of quantum nanostructures by combining (scanning) transmission electron microscopy, spectroscopy, first-principles calculations and property assessment. The Department of Q&EM – Quantum & Energy Materials – works towards the understanding of both materials and energy exchange processes at the nanoscale where the laws of nature are governed by quantum mechanics.